Looks like you're getting better at it. Great roasted beans, well pulled espresso, well textured milk equals a contented wife. Yesterday morning, s breakfast mug. This morning's cup. Kind of difficult with lactose free UHT milk. Here,s a two cup version before heading out into the garden to enjoy the sun n diggin around. Have been missing in action as we have taken the plunge and got a mobile coffee van . Things have got a whole busier and that,s just getting organized with stock and a whole bunch of stuff associated with running one,s own business. 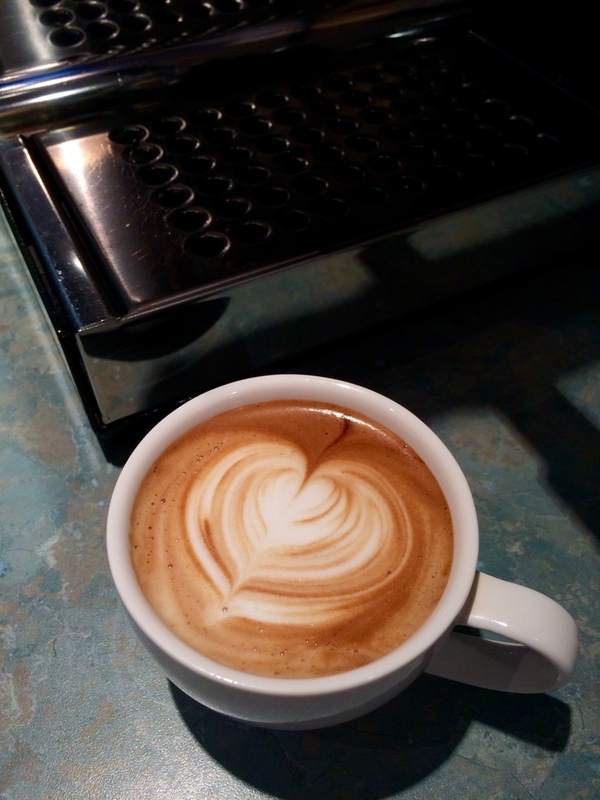 While the van is being modified to conform to local council requirements, here is my latest attempt at the heart. Have a great day everyone. Wow Gary, you are in for a penny, in for a pound! Go get 'em son!! Certainly looks like a lady looking flirtingly sideways with her right eye. It also looks like your avatar. Here,s today,s mocha. Tasted smooth this one. 50%Colombia, 20% Peru, 20% Ethiopian Djimma and 10% Indian Khali robusta. Both roasted to first snips of second crack and four days post roast and just damned delicious! Certainly the main priority is the taste unless you,re a latte art tragic. People talk about the last impression which is the finish of a great cup long after the first admiration of a pattern on milk. Am afraid i havent been active on this forum since this happened to me, my first business venture. Very neat little setup Gary, how's it going? PS what do you do for power? She certainly is cozy n tight. Petrol generator purring in the background. What size gen set do you need to run things? 5.5kva gen thats working well will power my 10amp Expobar Compact Elegance with the grinder, pie warmer, two bar fridges, blender and 15 amp instant hot water system. Water pump runs off car battery. I shall start a new thread soon to explain the ins and outs of running a independent mobile coffee business and hopefully answer a few more questions. A magnificent beastie! Go you good thing!!! Far from my best effort this morning, but it tasted really good so that's the main thing. Certainly looks great Leroy. Can visualize the silky mouth feel of the textured milk. Hey there Brett. The only beastie thing about the van is this sticker on the side of the van. 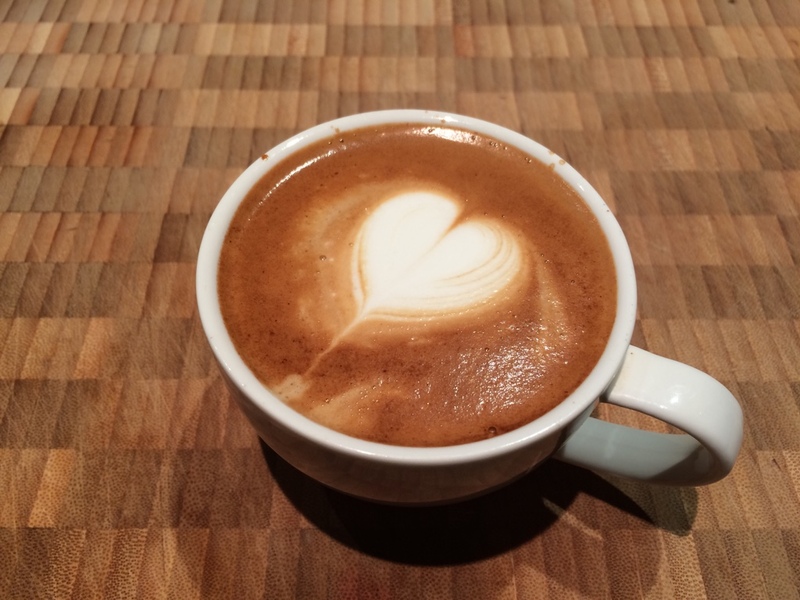 Little cappuccino heart this morning.